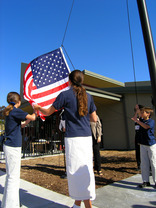 Encinitas Country Day School has been established to provide students genuine preparation for life through a program that supports balanced intellectual, creative, physical and personal development. 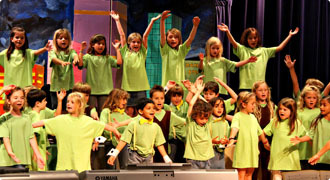 Students receive traditional academic instruction, aligned to state standards (Common Core, NGSS, and adopted standards), using Montessori instructional methods, enriched by hands-on learning opportunities, visual and performing arts training, physical education and character development classes as part of the standard curriculum at ECDS. Our multi-dimensional approach is proven to capture student interest and inspire a love of learning, self-direction, self-control and strength of character at an early age. Our Montessori preschool and Kindergarten programs support students in learning basic skills and developing self-confidence as a preparation for success in their elementary years. Students learn in prepared indoor and outdoor environments designed to support the joyful learning of early childhood and lay a solid foundation for future success. Guided by certified Montessori teachers, our students begin developing a life-long love of learning in their preschool years. Science and arts enrichment programs challenge students personally, inspire creativity, and ignite youthful curiosity to drive a life-long love of learning. Students will learn where they are in the universe, when they are in time and how they fit into the grand scheme of life. Using this foundation, students learn about the arts, sciences, the world’s literature, history, and mathematics. 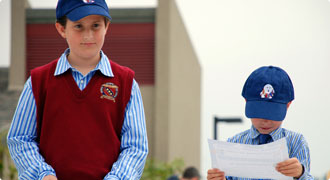 Students develop their ability to communicate in oral and written language, to research and present their research, and are challenged to think critically, analyze scientifically, discuss respectfully and use their skills to succeed in the traditional courses of Middle School and High School and their everyday lives. Students will become scholars in the traditional sense. They will be well-educated and capable. They will be able to communicate effectively and will be willing to use their skills to the benefit of others. 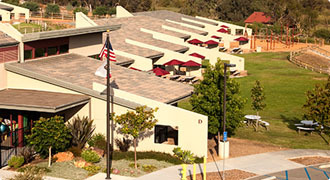 The rigorous academics of our college preparatory middle school and opportunities for honors courses are complimented by carefully selected electives, challenging personal development courses and exciting extra-curricular activities to prepare students for upper school, higher education and life. Student government, athletics, visual and performing arts, science and technology, and leadership opportunities are important components of upper level campus life at ECDS.